Facepunch Studios last week enacted a new policy: they’d open up about the various prototypes they’ve been working on. In the case of colourful space shooter Riftlight, that’s yielded some interesting reactions. 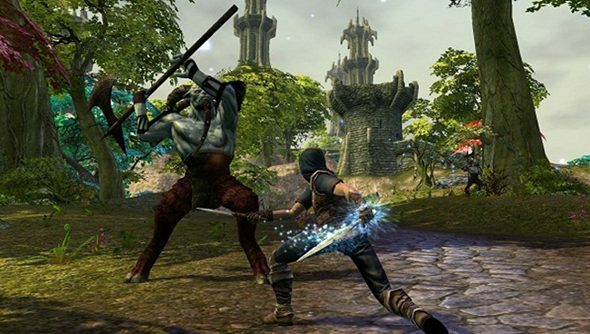 Newman points out that Trion’s move isn’t as aggressive as it might seem: owning a trademark is pointless unless you defend it against potential consumer confusion. What’s more, said Garry, the name is the “least important thing”. Riftlight was a codename, and wasn’t backed up by domain names, Twitter accounts or promotional t-shirts. Riftlight’s already been subject to enough drama. Its announcement caused panic in the Rust community, where some fans assumed the prototype would mean fewer man hours dedicated to Facepunch’s survivalist hit. Not so. Did you like the look of their action RPGish space game?